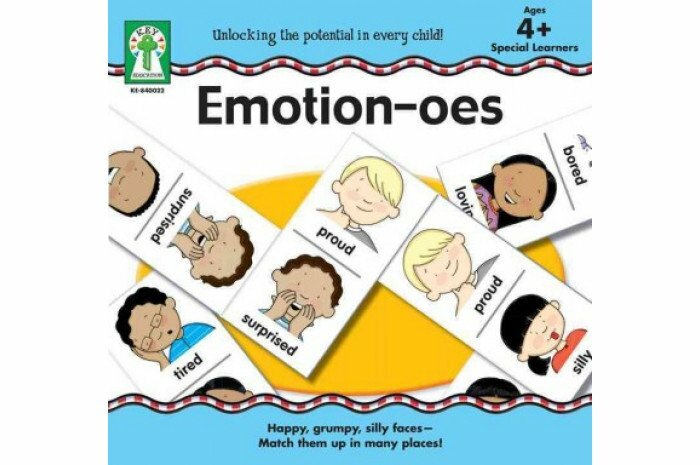 A new, emotion-centric spin on the classic game of dominoes, Emotion-oes provides a fun way for children to discuss and learn about emotions and feelings. 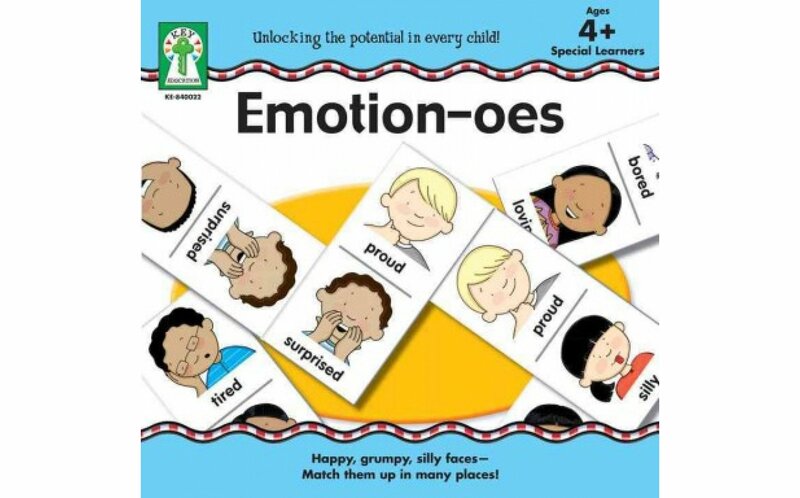 Players use game pieces to match up feeling pictures with their names and in the process learn to identify and differentiate different emotions. Includes 56 full-color game pieces, instructions, and storage box. 2-6 players. Ages 4+. My clients love this game-- they often ask if it is in my therapy bag when I make home visits. A winner!